Below you can view all the highrises for sale in the Villa At Buckhead subdivision located in Atlanta Georgia. Listings in Villa At Buckhead are updated daily from data we receive from the Atlanta multiple listing service. 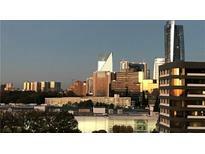 To learn more about any of these highrises or to receive custom notifications when a new property is listed for sale in Villa At Buckhead, give us a call at 404-998-4063. 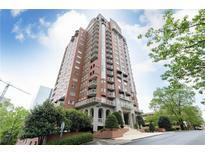 Only Steps From Lenox Mall, Phipps Plaza, Marta, & Multiple Fine Dining Restaurants. MLS#6518026. Keller Williams Realty Intown Atl. 2 Secured Covered Parking Spaces. Can Be Sold Fully Furnished. MLS#6512576. Keller Wms Re Atl Midtown. A Complete Permitted Renovation.Designer Int/Trim Paint.New Luxury Baths, Hardwood Floors Thruout,Appliances W/Induction Oven.New Wind Glass W/Solar Film & Solar Shades,Designer Lighting,Ceiling Fans,Door Hdwr,Hvac W/Air Vents/Hot Water Heater.Murphy Bed.Great Unit Stor,2 Resvd Parking Spaces/Large Storage Closet Across Hall.New Elevators Assess.$6000 Has Been Paid By Seller To Be Installed In 3/2019. Excuse The Progress. MLS#6115266. Keller Williams Rlty, First Atlanta.